MENGO – After drawing both of their last two games, Park returned to winning ways as they defeated Mengo City 6-0. 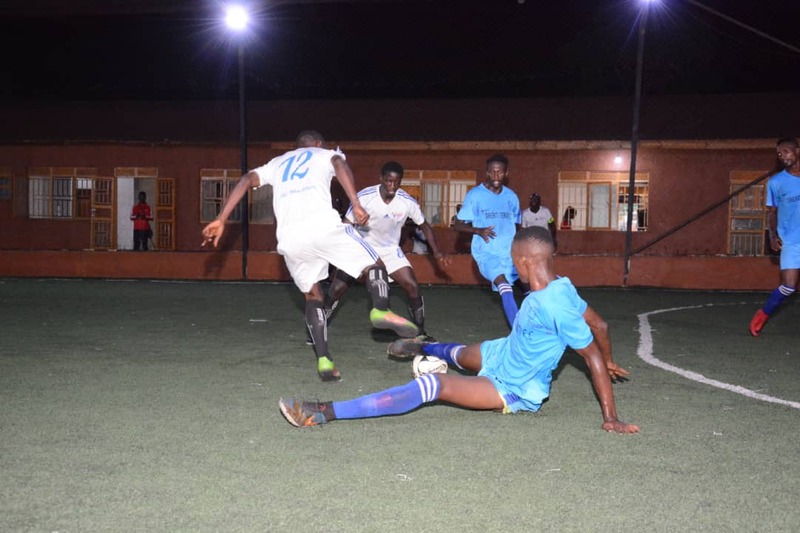 This was in one of the seven games played at the International Futsal Courts in Mengo on Thursday evening. Shafic Mulangira helped himself to a brace while Captain Iddi Babu, Francis Matunga and Paul Mukiibi added a goal each. The sixth was an own goal by the struggling Mengo City. The victory sees Park move onto 41 points, four behind leaders Yeak Kabowa. For Mengo City, they remained 10 with 22 points after 19 games played so far in the season. Speaking after the win against Mengo, Babu stressed that they (Park) will try to win all their remaining fixtures. “It is a good thing we have returned to winning ways after two games minus victory. “We know that we are still four points behind the leaders but we will not take the foot off the gas pedal. “Our target is to win all our remaining games and see what happens in the end. 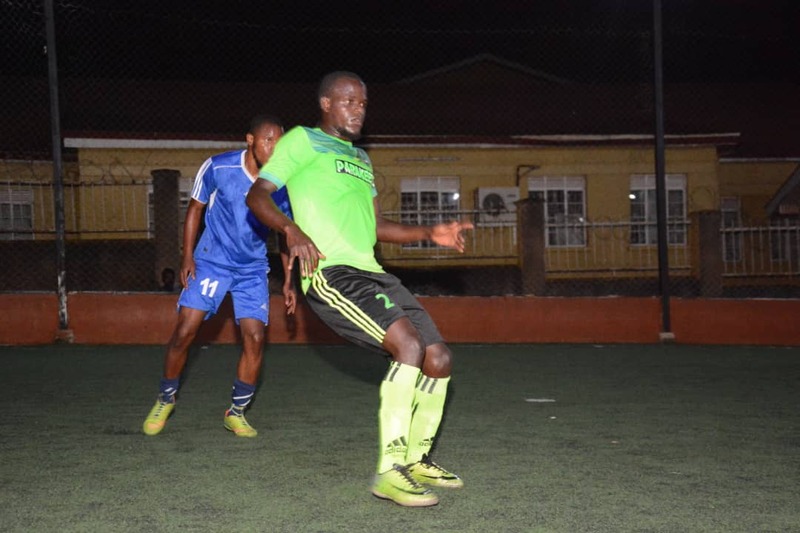 For the leaders Yeak, they powered past hard fighting Bajim 3-2 on the same night. Top scorer Enock Ssebagala, Shafik Avemah and Robert Bakka were all on target for the Kabowa based side. For Bajim, they scored through Titus Ssematimba who banged a brace. Yeak now move onto 45 points from 19 games while Bajim who are 7th have 29 points. For defending Champions Dream, they continued their slump in form, drawing 3-3 with Aidenal. This is Dream’s second consecutive 3-3 draw after the one against Typhoon last week. John Ssegawa was the only positive on the day for Dream as he grabbed a hattrick while Ronald Ssonko *2 and Ismail Sseguya scored for Aidenal. The draw leaves Dream languishing in 5th with 32 points, 13 behind the leaders Yeak. Dream (blue) have drawn both of their last two games 3-3. For Aidenal, they are still 11th on the standings with 20 points from 19 games. 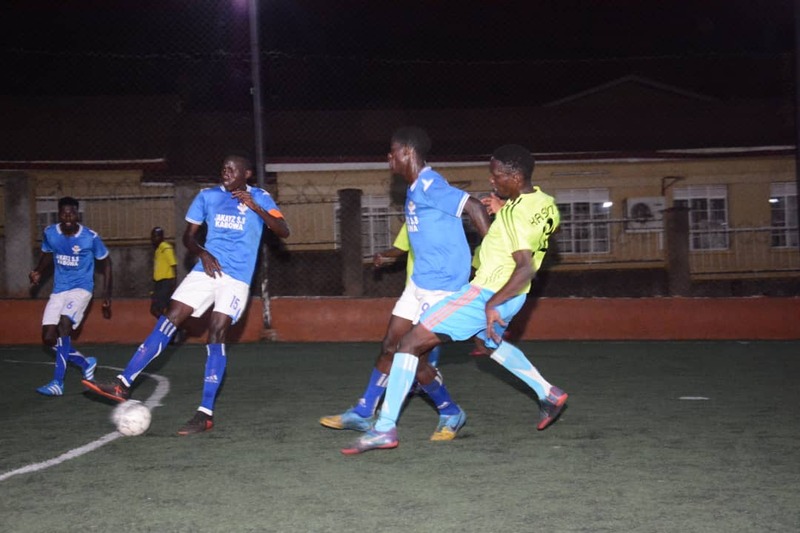 Parakeets defeated bottom placed Yap Stars 5-3 with Arafat Ssentongo bagging a hat trick while Bruno Ochan and Joseph Vincent Abigaba scored a goal apiece. Saddiq Tijjani Abubaker, Ronald Kato Kimbungwe and Imaam Kafunaye Kinene scored for Yap Stars. Typhoon were the biggest winners on Thursday night outwitting Elephants 7-2. The latter had two players sent off. Jonathan Kitonera and Ibrahim Kuteesa were shown marching orders. Ronald Mukasa Ssempijja scored three goals for Typhoon. Umar Ssebuliba and Roger Mato also scored two goals each. In the other games played Crown edged Kabowa United 5-4 while Equator won 2-1 against Nomad. Yeak’s Enock Ssebagala still leads the scoring charts with 31 goals, two ahead of teammate Shafik Avemah.